Stop Putting Off Education–Start Now! I’ve heard it before, “I’ll find time next year for continuing education courses. I’m too busy now.” But the thing is, next year will turn into another year and another. Next thing you know, it will be five years down the road and you still haven’t completed that continuing education you’ve been meaning to. Screening your existing dental patients for obstructive sleep apnea is a crucial piece of the dental sleep medicine puzzle. Are you ready? Did you know 45 million Americans suffer from TMD & headaches, but a majority go untreated? Get involved in helping these patients by understanding common pain complaints in the head and neck, how to diagnose pain and TMD, when and how to treat, and when to refer. This interactive sleep, TMJ, & pain symposium will give you the knowledge you need to integrate yourself into the sleep and pain medical community, increasing your knowledge and referral network, while providing your patients the best quality care. 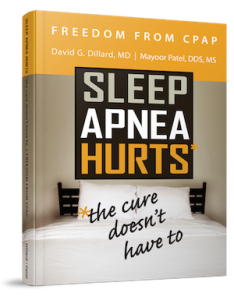 Did you know there is a link between sleep apnea, bruxism, and craniofacial pain? Learn how to assess your patients, prioritize, and fabricate a treatment plan that provides the best results for these three conditions. Get involved in helping patients suffering from TMD or Craniofacial Pain by understanding common pain complaints in the head and neck, how to diagnose pain and TMD, when and how to treat, and when to refer. The SCOPE Institute Dental Sleep Medicine Mini Residency is a 4-session, 64 CE Credit program designed to give dental practices the knowledge and guidance to fully incorporate obstructive sleep apnea treatment into their practice, and the experience to overcome obstacles in order to grow and flourish in dental sleep medicine. Continue to learn more about common pain complaints in the head and neck, how to diagnose pain and TMD, when and how to treat, and when to refer. Which lecture series are you interested in the most? Share your answers with me–I’d love to hear from you. I look forward to seeing everyone at an upcoming lecture in 2017! Could Sleep Apnea be Affecting Your Patient’s Dental Implants? When our patients are missing teeth, many might turn to dental implants for a more permanent solution. And that’s great, but what if something is changing the permanence of those dental implants? In a study from the Journal of Oral Implantology, the impact of obstructive sleep apnea (OSA) on dental implants was investigated, and they found a connection. If we can treat our patients’ sleep apnea to prevent harming their dental implants, we can continue to help them smile for longer. Researchers looked at how OSA affects implant-borne prostheses, and the frequency with which a complication occurred was studied in 67 different patients. The researchers found a high instance of complications related to OSA, which means we need to pay closer attention to our patients’ oral health when they have dental implants and/or suffer from sleep apnea. The average time for a complication to occur in patients with sleep apnea is about 73 months post-implantation–that’s a long time. In fact, about 81% of patients with OSA experienced complications with their dental implants–that number is far too high. As you know, the availability of oral appliance therapy is essential in helping our patients find relief from sleep apnea. And now, it seems it can help to prevent further harm to their dental implants. It is also important to keep an eye on sleep bruxism, or bruxism in general, because this will be a leading cause of damage to dental implants, too. We’ve got a lot on our plates when it comes to treating obstructive sleep apnea and sleep bruxism in our patients, but now we need to be on the lookout for complications with dental implants. Are you ready to take charge of your patients’ health even more? Good. So am I.
Let’s keep an eye on sleep apnea, sleep bruxism and dental implants. If we can pay extra attention to these patients, we can continue to not only improve their sleep, but their oral health as well. If you have any questions, please do not hesitate to contact me further. In the meantime, continue to seek advanced education by attending one of my upcoming lectures! At the beginning of March we were introduced to a new set of guidelines for sleep apnea testing. The American Academy of Sleep Medicine (AASM) developed new guidelines with an expert task force of board-certified sleep medicine physicians. These guidelines were then published in the Journal of Clinical Sleep Medicine. Recommendations were based on a systematic literature review, meta-analyses, and assessment of the evidence using the Grading Recommendations Assessment, Development, and Evaluation (GRADE) method. These new guidelines also include circumstances in which an attended polysomnography in an accredited sleep center or home sleep testing should be done for suspected obstructive sleep apnea (OSA). It’s a lot to take in, but these guidelines were created to further help us dentists, and other physicians, better treat our patients. Diagnostic testing for OSA should be conducted along with a comprehensive sleep evaluation and adequate follow-up. Polysomnography is the standard diagnostic test for adults in which OSA is suspected based on a comprehensive sleep evaluation. Clinical tools, questionnaires and prediction algorithms should not be used to diagnose OSA in adults, in the absence of polysomnography or home sleep apnea testing. Polysomnography, or home sleep apnea testing with an adequate device, should be used for the diagnosis of OSA in uncomplicated adult patients presenting with signs and symptoms that indicate an increased risk of moderate to severe OSA. If a single home sleep apnea test is negative, inconclusive, or technically inadequate, polysomnography should be performed for the diagnosis of OSA. And the list goes on, but it is important to understand these guidelines so we can better care for our patients. Where do Dentists Come Into the Picture? As you know, dentists don’t diagnose sleep apnea, but we can recommend our patients seek outside help. 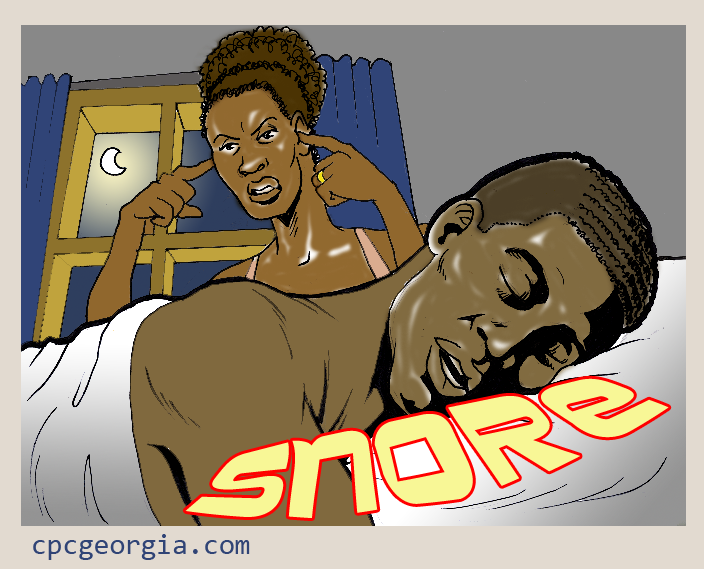 If your patient is displaying signs and symptoms of sleep apnea, it is important to be prepared. While you can’t diagnose them, you can recommend a doctor to visit for a proper diagnosis. You can also share your knowledge of the process so your patient doesn’t go into it blindly. To review the guidelines and learn more about these new additions, you can read the article here. Can Sleep Apnea Treatment Improve PTSD in Veterans? I recently read an article on a study focusing on CPAP treatment and PTSD in veterans. In this study, researchers found that post traumatic stress disorder (PTSD) symptoms improved in veterans with obstructive sleep apnea (OSA) who were treated with CPAP therapy. After reading this article, my question is: will oral appliance therapy have the same results? I definitely think the chances are high! There were 47 veterans recruited, with 40 completing the study. Of those participating, 20 had mild-to-moderate PTSD and 18 had severe-to-very severe PTSD. Researchers found that improvements in PTSD correlated with the duration of CPAP usage, and veterans with severe-to-very-severe PTSD had larger improvements in symptoms. The only significant predictor of overall improvement in PTSD symptoms was the amount of time the veterans used the CPAP machine. The findings of this study indicate that treatment of OSA reduced PTSD severity and diminished frequency of nightmares. With prolonged CPAP use, veterans continued to experience an improvement in PTSD symptoms. While there doesn’t seem to be an available study on the use of oral appliance therapy in veterans with PTSD and OSA, we can use CPAP therapy as an example. For veterans with PTSD symptoms, he/she might be CPAP non-compliant or just not like the treatment. The availability of oral appliance therapy for our patients allows us to successfully treat OSA, while also potentially improving PTSD symptoms in veterans–it’s worth the try! Contact my office to learn more about oral appliance therapy and what we as dentists can do to help our patients.